free with a sibling. Pay at the door. Payable with cash or cheque. Ride and Play is a year-round drop-in play group with a variety of activities for children to explore. Indoor play includes a play area for infants and toddlers, riding toys, a weekly craft, puzzles, giant building blocks, and our bouncy house! You may want to bring a NUT-FREE snack - no peanut butter or nuts please! You do not need to register to come to Ride & Play just drop in when it works for you! You may have noticed our masthead has a badge on it. 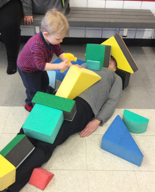 Chatterblock website has listed Ride & Play as one of the best indoor play centres in Winnipeg! We couldn’t be more thrilled! The site has lots of information about events and programs in the city so be sure to check it out. If you’re looking for craft kits check out my Facebook page, Alison’s Crafts To Go or find me on Instagram. Click HERE for info on My Magical Craft Box, a monthly craft kit subscription for kids ages 2-6 years old. I also do crafts for Christmas parties, birthday parties and/or craft loot bags! Email me for details! 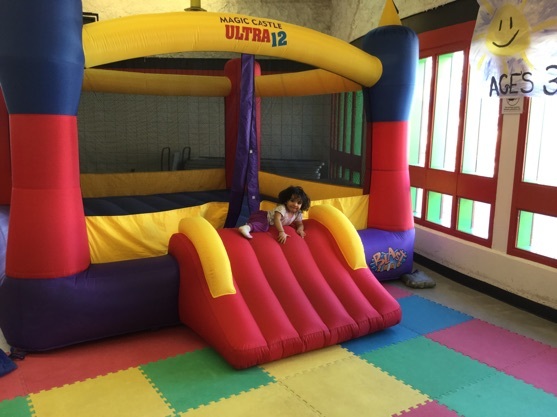 For birthday party rentals, please go to the rentals page on the EGCC website www.earlgreycc.ca , call (204) 452-2074 or email egcc@mts.net. We recommend booking your party at least six months in advance! Email me if you’re looking for a craft package to go with your birthday party! If you have questions you can email me at info@rideandplay.ca or by clicking on the button below. Welcome to Ride & Play! All photos taken and used with permission. Click HERE to be added to our email list and get updates on special events, family nights, and schedule changes.